I traveled to Kenya in 2015, and having been there before and taking a small amount of items, I saw how excited the children had been to get art supplies, so I decided next time I went that I wanted to do more. I’m not sure how, but I found Pack for a Purpose and it intrigued me, and working in the travel business it struck me as such an easy tie-in. I became a little more focused and started collecting in my office (encouraging colleagues to clean out their desks and include an extra box of crayons in their back to school shopping). I also began emailing suppliers I work with, because we all go to Trade shows, so I knew collecting pens would be a slam dunk. It quickly evolved to just all sorts of school supplies arriving at my office because people just wanted to help. 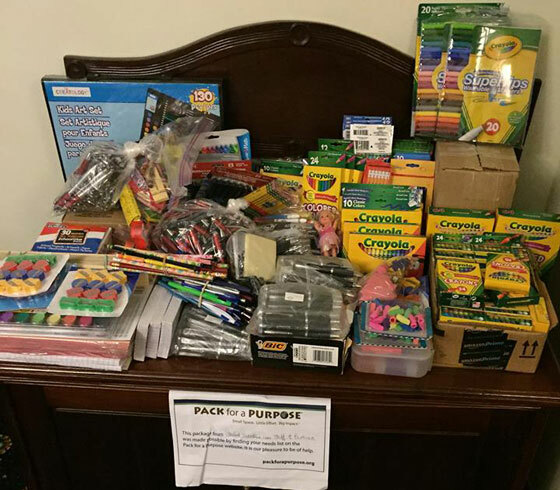 In all we took about 60 lbs school supplies including: 60 packages of crayons, 20 packets of markers, 700 pens, 250 pencils, 40 sharpeners, 30 glue sticks and 50 erasers. With a transfer in London, I was concerned with how we would get it there. We bought two cheap wheelie bags in a local store and took them as our carry on bags. 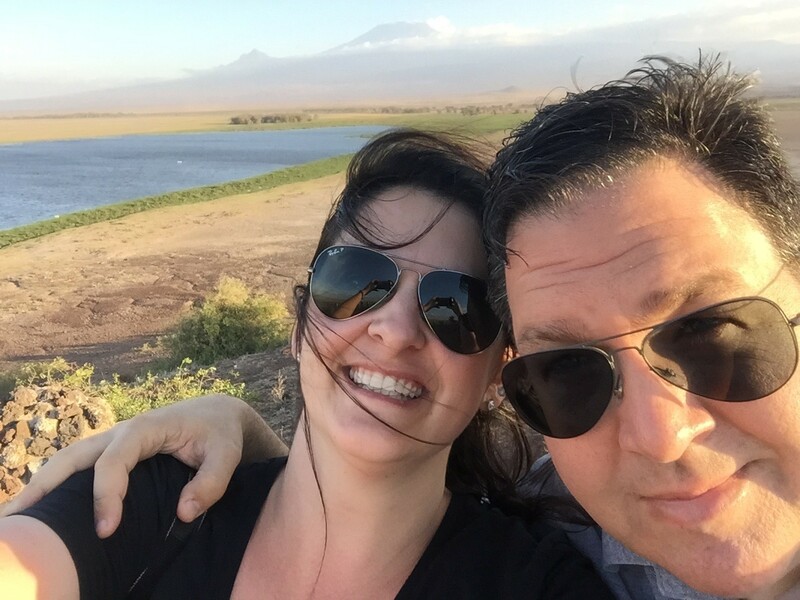 Due to our itinerary, we couldn’t leave the supplies at a participant’s property, but PfaP connected us with a participant who was willing to pick the supplies up from us in Nairobi. It made me so happy to be able to help in such an easy way, especially knowing how much it meant to the recipients. I am travelling to Kenya and Tanzania in October of this year, and have already figured out which property and school we will be supporting this time around, and have an Amazon wish list ready to go!